The crowds gathered at Chanonry Point, a spit of land which extends into the Moray Firth, between the Black Isle towns of Fortrose and Rosemarkie. The curse proclaiming the downfall of the house of Seaforth was still ringing in their ears. Isabella, Countess of Seaforth, was undeterred. She would have her revenge upon the man who accurately and publicly “saw” her husband’s infidelities in Paris. As the flames arose from the spiked barrel in which he suffered a “witches” death, a dove and a raven circled overhead. The dove rather than the raven landed on his ashes, indicating his innocence. 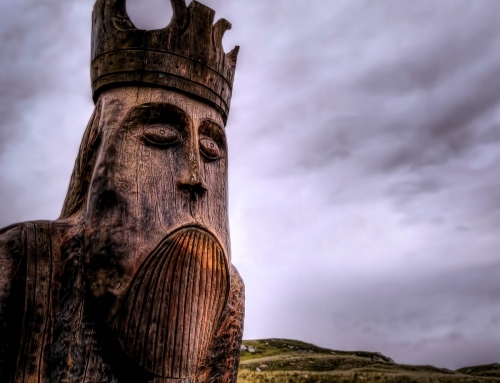 From out of the murky shadows where Highland folklore and history meet, comes the enigmatic character, Coinneach Odhar, Fiosaiche, or “Sallow Kenneth”, “the one who knows” otherwise known as Kenneth MacKenzie. 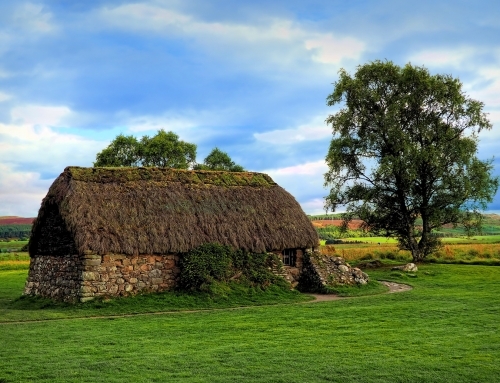 MacKenzie is said to have been cursed with ‘The Sight’ and foretold many events in Scottish history which have since come to pass, such as the battle of Culloden and the building of the Caledonian Canal. The ‘Sight’ was a cursing indeed, for it would ultimately lead to him being burnt to death. Little written evidence remains of his life and even his prophecies were written down long after his passing. But the Gaelic culture of the Scottish Highlands was rich in oral tradition, and in stories which were passed from generation to generation were found nuggets of truth. Somewhere in those stories lies the man with the epitaph the ‘Brahan Seer’. Who was the Brahan Seer? The Brahan Seer has been likened to Nostradamus. Like the French visionary, there is more myth and legend surrounding the man than real fact. MacKenzie was born in a time when few people were literate and very little written records were kept. Records in the Highlands were notoriously poor. 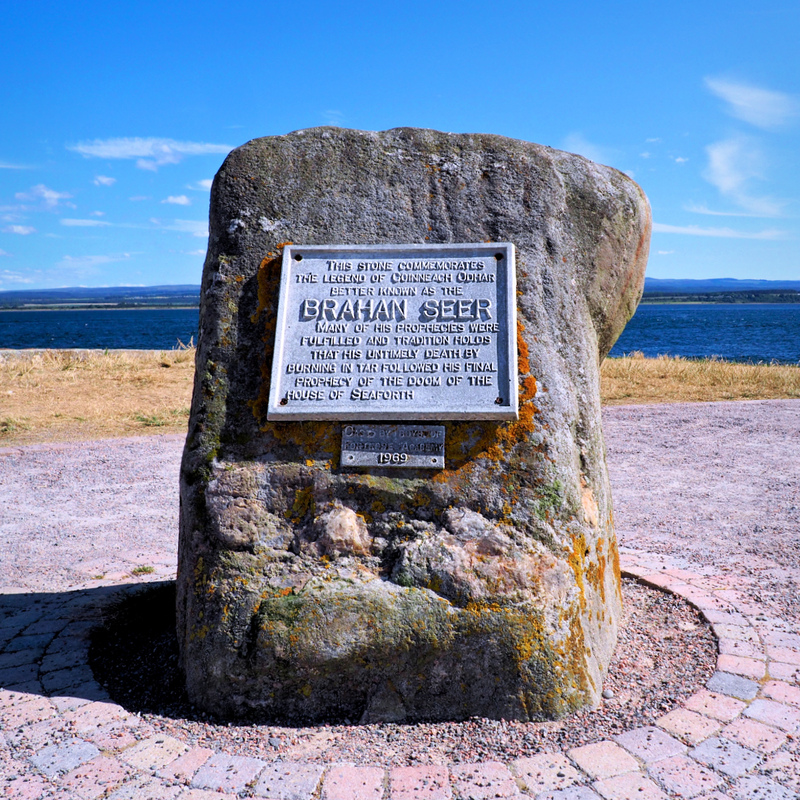 Most of what has been written about the Brahan Seer, was written by Alexander MacKenzie, the Gairloch-born writer and historian, who relied heavily on the help of his contemporaries, A.B. Maclennan, author of ‘The Brahan Seer” and editor of the “Celtic Magazine”, and Donald McIntyre schoolmaster of Arpafeelie on the Black Isle. However, some 200 years had passed since the Brahan Seer was alleged to have lived. Obviously, this gap in time has allowed many inaccuracies to slip in. There are some who question whether the Brahan Seer was actually a real person. According to Alexander MacKenzie, the Brahan Seer was born at Baile-na-Cille, in the parish of Uig on the Isle of Lewis at the beginning of the 17th century. These lands belonged to the Earls of Seaforth who also owned Brahan Castle near Dingwall in Easter Ross. Apparently, he was later employed as a labourer on the Seaforth’s Estates near Brahan. It was here that he would meet his fate. He made one prediction too many, which led to his barbaric murder at Chanonry Point, where it is said he was burnt in a spiked tar barrel on the command of the Earl’s wife, Lady Seaforth. However, there is no record of Kenneth McKenzie living at this time. Presumably, records would have been kept of his execution but unfortunately the Rosemarkie parish records of the time were destroyed in 1737 when the session clerk’s house burnt down. However, records of important events are seldom recorded in isolation. It is especially significant that no mention, of what would have been a major talking point in the wider community, is made in the diaries of the Brodie family of Brodie Castle, a family which had little reason to like Lady Isabella Seaforth. James Fraser, the Minister of the nearby Kirkhill parish also kept a diary during this time and likewise made no mention of an event he would certainly have known about and would have had very strong views about. This is particularly surprising as Fraser wrote about all his notable contemporaries in gossipy detail and wrote about other witchcraft trials. There are, however, two records for a Coinneach Odhar, a man who lived in the 16th century who was accused of witchcraft. in 1925, historian, Dr William M McKenzie discovered a Commission of Justice from Holyrood House, dated 25th of October 1577. It was issued to Walter Urquhart, sheriff of Cromarty and Robert Munro Mor of Fowlis, authorising them to seek out and apprehend six men and twenty six women charged with the ‘diabolical practices of magic, enchantment, murder and homicide’. Among those arrested where Thomas McAnemoir McAllan McKendrick, alias Cassindonisch; Marriott Neymaine McAlester alias Loskoir Longert; and Christina Milla daughter of Robert Milla. The last name on the list was significant: one Keanoch Ower or Coinneach Odhar as written by a lowland clerk, who is described as the “leading principal enchantress”. No doubt with little knowledge of the Gaelic tongue the same clerk was unable to distinguish the gender of the accused and assumed that it must be a woman. We know that some of these suspects were eventually apprehended and were burnt as witches at Chanonry Point. The tale that unfolds is a strange one. Katherene Ross, daughter of Alexander Ross of Balnagowan, agreed to marry Robert Mor Munro of Fowlis, on condition that any sons she bore him, would inherit any lands which he bought during her life time. Katherene was his second wife, his first having provided with Robert with two surviving sons; Robert and Hector. When Munro reneged on his word, Katherene allegedly took things into her own hands and resorted to consulting with witches and the use of poison. Katherene, under the protection of her husband, was whisked away to the safety of Caithness where she lay low until things had cooled down. But people have long memories. Years passed, her husband died, and she no longer had his protective arm to spare her from the ire of his sons. Some twelve years after the last commission for Coinneach’s arrest, Katherene stood on trial accused of trying to dispose of her stepson, Robert, heir of Fowlis and her sister-in-law, Marion Campbell of Calder (or Cawdor, daughter of Muriel Calder). Her motivation, it seems, was to free her brother, George, so he could marry Robert junior’s wife. She was also accused of trying to dispose of Robert Mor’s sons to his first wife, so her son might become clan chieftain. The charges levelled against her included, consulting with local witches and warlocks who cast prehistoric flint arrowheads, known as elf arrows at images formed from clay and butter. One of these warlocks included Coinneach Odhar. When this plan did not work she turned to ratsbane which purportedly killed a ghillie, her nurse and turned Marion Campbell into an invalid for life. Katherene was acquitted and immediately had her accuser, Hector Munro, brought to trial for the death of her son, also by witchcraft. He was also acquitted. Here we are left with a dilemma: on the one had we have Coinneach Odhar, the labourer on the Brahan estate who died at the hands of Lady Seaforth but whose death passes through the annals of history unrecorded. Then we have Coinneach Odhar, the witch, who despite any mystical ability, certainly could not have have survived the flames on Chanonry Point to stand accused of witchcraft once more, some one hundred year later. Perhaps both men were related. It is possible that the Brahan Seer was a grandson of the original Coinneach Odhar or perhaps both figures have merged in the minds of a people immersed in an oral tradition to become one prophet. Perhaps much of the appeal of the man, lies in this sense of mystery. The Brahan Seer was said to have received ability by looking into a hagstone or a pebble with a hole through its middle. To add to the enigma of the man, there are even discrepancies about how he received this stone. In one tale, his mother was tending her cattle on a ridge overlooking the graveyard at Baile-na-Cille. At midnight she saw all the graves in the churchyard open and saw a host of spirits arise. After an hour, the spirits came back to their tombs, which immediately closed up upon their return. That is, all except one grave. With her curiosity peaked, she edged forward and placed her distaff in the gaping hole. 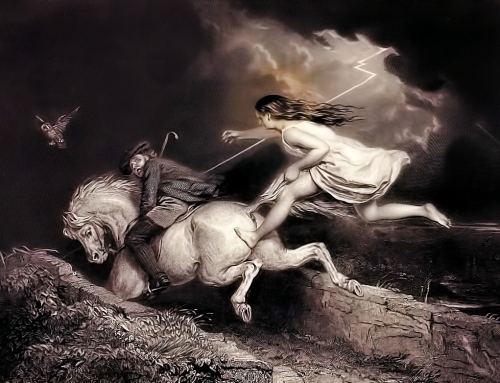 Soon the spirit of a fair maiden appeared, rushing through the air from the north. Turning to her, the maiden pleaded “Lift thy distaff from off my grave and let me enter my dwelling of the dead.” But his mother was a determined woman and refused until she got an explanation from the spirit about why she had been detained longer than her neighbours. The spirit sighed and revealed that she had had to travel further than her fellow deceased. In fact, all the way to Norway for it turned out that she was the daughter of the King of Norway and drowned while bathing. Her body was washed ashore on the nearby beach and her remains interred in the grave that lay open before the two women. Turning to Kenneth’s mother, the ghost revealed that as a reward for her intrepidity and courage, that she would be rewarded if she went to the nearby loch. There she would find a small blue stone, which she should give to her son, Kenneth, who would be able to use it to reveal future events. In another tale, he had gained the displeasure of his mistress, the farmer’s wife. While he was away cutting peats for his master, she hatched up a plan to rid herself of the Seer for once and for all. She poisoned his dinner and sent it to him. But the dinner was late in arriving and he was tired from the strenuous labour. He lay down on the moor and sunk into a deep slumber. He woke up suddenly, feeling something pressing against his breast. A closer examination revealed the presence of a small, white stone, with a hole through the centre. As he peered into the aperture, a vision appeared to him which revealed the treachery of his mistress. To test the truthfulness of the vision, he fed his dinner to his faithful collie. Alas the poor creature writhed in agony and passed away so after. In other tales it is said that when the Brahan Seer, looked into the stone for the first time, it robbed him of sight in that eye and he was left forever ‘cam’ or blind in one eye. ‘He no doubt predicted many things which the unbeliever in his prophetic gifts may ascribe to great natural shrewdness. Among these may be placed his prophecy,150 years before the Caledonian Canal was built, that ships would some day sail round the back of Tomnahurich Hill. A gentleman in Inverness sent for Coinneach to take down his prophecies. He wrote several of them, but when he heard this one, he thought it so utterly absurd and impossible, that he threw the manuscript of what he had already written into the fire, and gave up any further communication with the Seer. According to the tales available to the author Alexander MacKenzie, Kenneth, the Third Earl of Seaforth went to visit France. 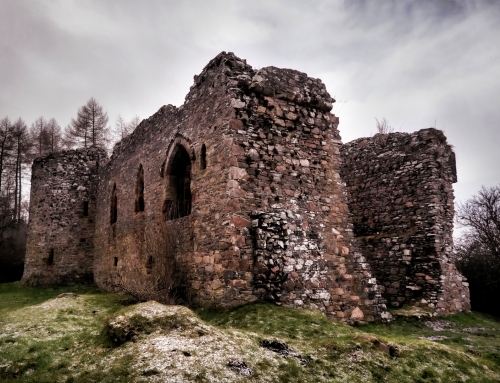 His wife was left at home at Brahan Castle and began to fret for her husband. Knowing of the Brahan Seer’s reputation for his great powers of divination, she had him summonsed to her presence. She managed to prise out of him, details of her husband’s infidelity. Unfortunately, many of her retainers were present and she felt that she had been slighted publicly. The anger she felt ought to have been directed to her husband but instead she vented her wrath upon the Seer. She would have him killed as a witch. When it became apparent that there would be no mercy for Coinneach, he pulled out his stone and used it one last time. According to Alexander MacKenzie, he uttered a curse which would fall upon the House of Seaforth. Francis’ four sons all died before he did. His widowed daughter, Lady Hood, did indeed return from the east to inherit the Seaforth legacy, in 1815. She completed the last of the grim prediction when she accidentally ‘killed her own sister’, the Honourable Caroline MacKenzie, while driving a carriage which went out of control. If Coinneach Odhar, the Brahan Seer was not sentenced to death by Lady Seaforth, then who did put the curse on the Seaforths? The Seaforth title was not bestowed upon the MacKenzies until 1623, too late for the Coinneach Odhar, who was involved in the Fowlis affair, to have been its instigator. The Brahan Seer’s influence lives on today. Such is the belief in the Brahan Seer’s prophecy that to this day he is still influencing the course of history. 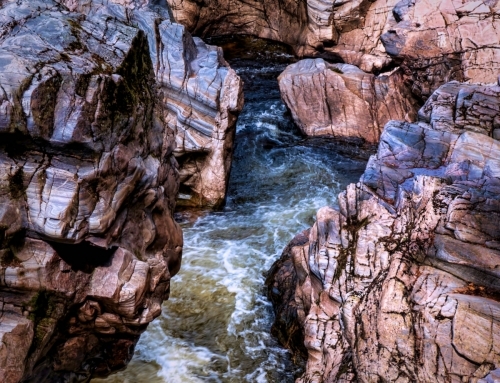 The Brahan Seer predicted that when the Eagle Stone, an ancient Pictish stone found at Strathpeffer, falls three times, the Strath will be engulfed by the sea, and boats will moor to the stone. Today the stone is discreetly but very firmly concreted into the mound on which it stands. It is already believed to have fallen twice so nobody is taking any chances. It is said that when it fell for the second time, the Cromarty Firth rose up and flooded the neighbouring town of Dingwall. “The continuing strength of belief in the veracity of Coinneach Odhar’s predictions is testified to by the front page of the People’s Journal for September 23, 1978. The report relates how the Highland Regional Council’s Planning Committee, bedevilled by traffic congestion, had been considering the advisability of building another bridge across the River Ness at Inverness. The river is already spanned by six bridges. A ratepayer with a long memory telephoned one of the members of the committee to ask whether he knew that the Brahan Seer had prophesied destruction for the town by fire and water and the fall of black rain in the event of the construction of a seventh bridge across the Ness. The good councillors were preparing to laugh it off when someone pointed out that ‘black rain’ could mean radioactive fall-out from a nuclear disaster at Dounreay. Sobered, the committee ordered the costing of the alternative of tunnelling under the river! Whoever the Brahan Seer was, real or imagined, the mystery surrounding the man lives on. He would not have been alone in meeting a witch’s death at Chanonry Point, for this was one of the places where witches were burnt during the Scottish Witch Trials. Today the crowds gather at Chanonry Point, for a different reason. They gather to celebrate life. The world’s most northernly pod of bottle-nosed dolphins live in the Moray Firth. As the tides change they frequently come close to the shore at the Point to feed. However, a monument is erected at the site, to mark where the Seer met his fate and is a chilling reminder that this popular tourist spot once had a more sinister purpose.